When it comes to some of the most unexplained footage of unidentified flying objects, there has been spectacular UFO film footage released from the NASA STS 48 Discovery Space Shuttle Flight. They filmed this original UFO footage between September 12 and 18, 1991. The recently discovered top secret NASA film shows a UFO following after the space shuttle while it was in orbit during one of its mission. The footage is now available on YouTube and it is also below for anyone who wants to view it. The video appears to show at least a dozen objects moving around in an unusual manner. Along with that, what seems to be the most amazing part is when one entity is near the horizon and some sort of flashing occurs. It is then followed by yet another object that travels extremely fast across the field of view. After this, the first body takes off into space. The clarifications have varied as to what everything really is and they range from space weather storms to intelligent extraterrestrial spacecraft and more. However no one has come up with any sort of positive explanation and most of them do not seem to take into account the many objects which have been caught on film. Dr. Brian O’Leary, who once worked as a NASA astronaut and was once employed at Princeton University as a physics professor stated that there is ample evidence that the people on Earth are being visited by E.T.’s and that societies from outer space have been coming to this world for a very long time. He believes that the fact of their appearance being strange to traditional western materialistic points of view is extremely troubling. These visitors are able to use the knowledge of consciousness to understand human thoughts. For mechanics, they use something known as toroids, which are rotating magnetic disks that help propulsion their ship systems. This appears to be the common denominator of most UFO phenomenon. There have been literally dozens of governments around the world which have finally declassified thousands of pages of UFO related documents through the past decade or so. As a result of this, there have been extremely high-ranking political and military personnel finally step out into the limelight and open up to what they feel is the truth. 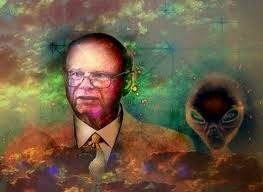 It was not that long ago that Canada’s former Minister of National Defense Paul Hellyer spoke in Washington D.C. that he believed aliens were actually living on Earth and that most likely some of them were inside the United States government. The former minister also exclaimed that he believed there had been at least four species of alien visiting Earth for thousands of years. He explained that the majority of extraterrestrials had come from various places known as Andromeda, Orion, Zeta Reticuli, the Pleiades, and the Altair star system. They all have different types of plans for Earth as well, he added. The subject of UFO’s and E.T.’s is up for debate and everyone has his or her own opinion. Even after reading this article and watching the video, no one is going to change his or her mind. Because for those who believe, no amount of information is needed and for those who do not, no amount of information will ever be enough. Regardless of where the reader stands on the UFO controversy, it is something that is heating up day by day. More attention is being paid to it all the time. It is something that can no longer be ignored. The UFO topic will continue to gain attention as the years years move forward or until UFO Disclosure actually happens.